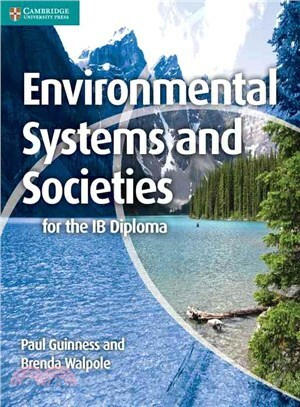 This attractive, full-colour coursebook, written by two highly experienced IB teachers, is tailored to the thematic requirements and assessment objectives of the IB's Environmental Systems and Societies syllabus. The text is divided into seven topics, following the IB syllabus structure and content specifications, and is written in clear, accessible English. The coursebook is designed to develop students' analytical skills and supports the requisite cross-curricular approach. It includes a detailed study of primary and secondary sources, key questions, carefully selected case studies and Theory of Knowledge exercises. Clear essay-writing and exam guidance is also provided.